Sun 6. Pforzheim to Geislingen 84 miles. Been on the road for a week now, it’s not going quite according to plan, I didn’t factor in that it would get dark so early and I thought I would find more campsites, but hotels are better just not very good for the budget. Mileage is down a bit but again mainly due to the hours of daylight. Huge breakfast this morning, see picture, and that was brought out after I’d eaten the continental breakfast! Perhaps they thought I looked malnourished!! Ended up riding into Stuttgart on the motorway, just couldn’t find my way in, then had a nightmare getting out, if I could have gone round I would have but there was no other way. Whilst trying to find my way out I asked a lady on a bike which way, as the cycle path that lead out was closed, she wasn’t too sure either so she went one way and I went the other, turns out mine was the wrong way! So I turned around and went back to where I had left Annik (as I later found out was her name) much to my surprise she was heading back in search of me because she had found a way through. We then rode the next 10km or so together to the next town where we had a coffee. 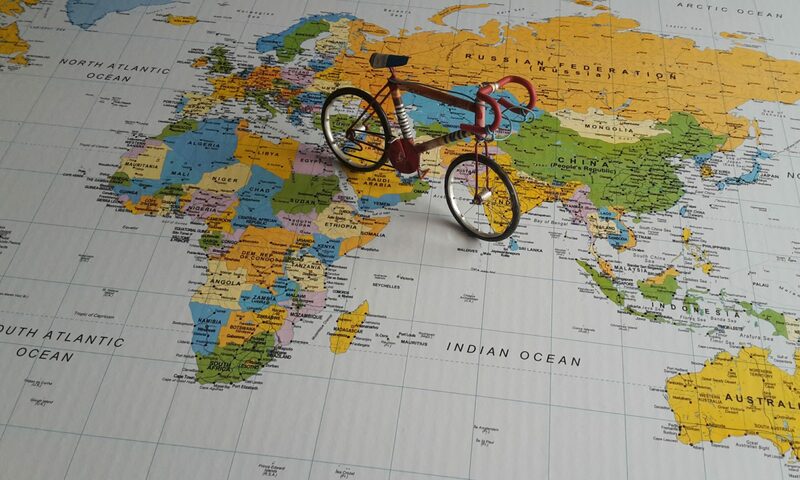 Turns out she was a journalist and her sister had cycled around the world a few years ago! After our coffee we parted company and I continued on my way, still getting lost! It never ceases to amaze me how kind people are, I mean Annik didn’t have to come back for me but she did and I will always be grateful for that.